Jeff Green picked up the 10th last-place finish of his NASCAR Nationwide Series career in Friday’s Food City 250 at the Bristol Motor Speedway when his #36 Long John Silver’s Chevrolet fell out with brake problems after completing 4 of the race’s 250 laps. 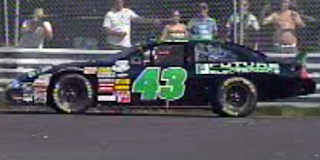 The finish moved Green into a three-way tie for 5th in the all-time LASTCAR Nationwide Series standings along with Mike Harmon and the late John Linville. Green qualified 27th for the race at a speed of 118.510 mph, besting 10 other teams that were not locked-into the field based on Owner Points. He pulled behind the wall during the opening green flag run, followed two laps later by LASTCAR Nationwide Series leader Dennis Setzer. Setzer was driving Brian Keselowski’s #26 in place of his typical #92 while his owner focused on his qualifying attempt for the Sprint Cup race. As a result, the #92 was not entered in the Nationwide Series race at all. 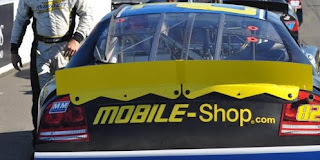 The D’Hont-Humphrey cars of Chase Miller and David Gilliland finished 40th and 41st with neither team scoring a single last-place finish since Gilliland’s at Dover, 14 races ago. 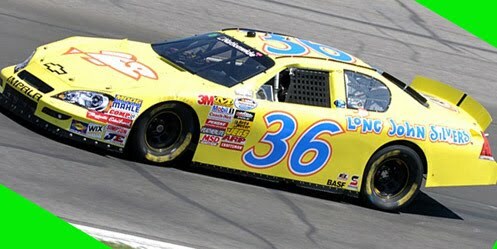 All-time LASTCAR leader Derrike Cope finished 39th. Although Brian Keselowski failed to qualify for Saturday’s Cup race, Jeff Green successfully got owner Bill Jenkins’ #26 Air National Guard Ford into the Irwin Tools Night Race at Bristol and finished a respectable 24th. The event was Green’s first Cup start since the 2007 Subway 500 at Martinsville. *It was Green’s second last-place finish in a Nationwide Series race at Bristol. Green also finished last in the 1992 Food City 250 when his #16 31-W Insulation Chevrolet lost the engine after the opening lap. The car was owned by Wayne Day, whose #05 car finished last a week ago with current driver Willie Allen. 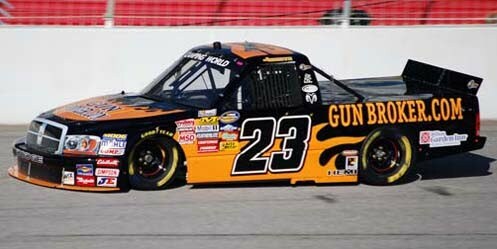 *The #36 had never before finished last in a Nationwide Series race at Bristol. Dillon Oliver picked up the 1st last-place finish of his NASCAR Camping World Truck Series career in Saturday’s Too Tough to Tame 200 at the Darlington Raceway when his unsponsored #95 Team Gill Racing Dodge fell out with engine problems after completing 2 of the race’s 147 laps. The finish came in Oliver’s 5th career Truck Series start. Oliver replaced Carl Long in owner Danny Gill’s #95 for the race as one of five post-entries that completed the 36-truck field. Oliver was the slowest overall, having not registered a qualifying speed, and he remained in the back due to an engine change before the race. These problems accounted for the #95's early exit on lap 2 along with Scotland’s John Jackson, who drove Mario Gosselin’s #72 that finished last with Johnny Chapman at Gateway. Four of the bottom five finishing positions were occupied by the post-entries, excepting current LASTCAR Truck Series leader Mike Garvey in 32nd. Chris Lafferty’s #24, the fifth post-entry, finished 31st after overheating problems ended his day after 16 laps. *It was the third consecutive last-place finish by owner Danny Gill and his #95 Dodge. 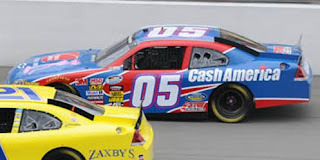 No team nor number had finished last in three consecutive Truck Series races since owner Gene Christensen’s #0 finished last at Michigan, Milwaukee, and Memphis in mid-2008. Three different drivers drove the #0 in that span: Chris Jones, Johnny Chapman, and LASTCAR Truck Series All-Time leader Wayne Edwards. 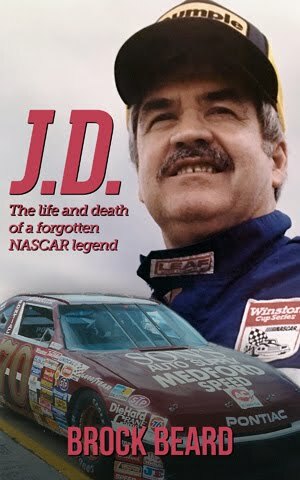 *The #95 had never before finished last in a Truck Series race at Darlington. Michael McDowell picked up the 5th last-place finish of his NASCAR Sprint Cup Series career in Sunday’s Sunoco Red Cross Pennsylvania 500 at the Pocono Raceway when his unsponsored #55 PRISM Motorsports Toyota fell out with a vibration after completing 23 of the race’s 200 laps. McDowell qualified 36th for the race at a speed of 166.979 mph. In the early stages of Sunday’s race, it appeared that Todd Bodine, driving Larry Gunselman’s #64, was on his way to his 17th Cup Series last-place finish when he went behind the wall during the first caution on lap 16. Joining Bodine were both Casey Mears in Tommy Baldwin’s #36 and J.J. Yeley, the top “go-or-go-home” driver in qualifying, in Dusty Whitney’s #46. However, all three cars returned to the track, including Bodine, who by lap 43 was still running, albeit 18 laps down. 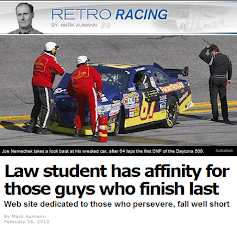 By then, both McDowell and PRISM Motorsports teammate Dave Blaney had fallen out for good. McDowell edged Blaney for the spot by one lap, preventing his teammate from tying Joe Nemechek once more for the 2010 LASTCAR Cup Series lead. It was the fourth time in 2010 that the two PRISM Motorsports cars finished 42nd and 43rd in the same Cup race. They also did so at Martinsville, Phoenix, and in the Coca-Cola 600 at Charlotte. *McDowell had not finished last in the Cup Series since his #66 Toyota overheated in this year’s Subway Fresh Fit 600 at Phoenix. 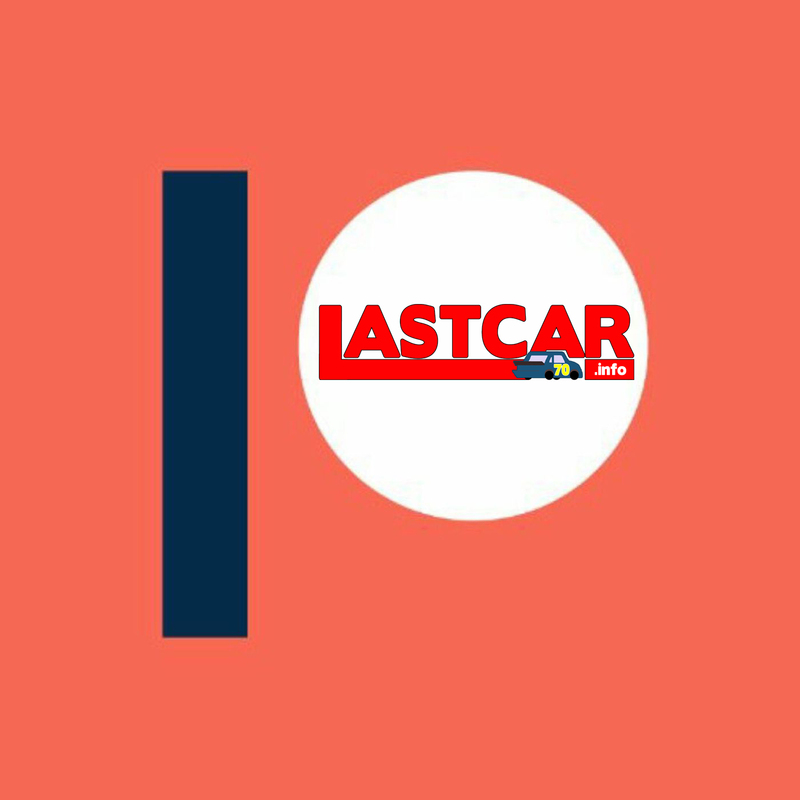 At the time, McDowell and Blaney were driving each other’s cars: Blaney finished last in McDowell’s #55 the next week at Texas. *The #55 had not finished last in a Cup race at Pocono since Michael Waltrip’s NAPA Toyota blew an engine 24 laps into the 2008 Sunoco Red Cross Pennsylvania 500. These two races are the only time the number has finished last since Pocono came on the Cup circuit in 1974. *This was only the second time in 2010 a Cup Series driver finished last because of a vibration. Aric Almirola’s run in James Finch’s #09 at this year’s Shelby American at Las Vegas was the other time it happened. 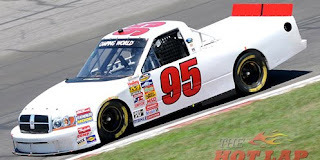 Carl Long picked up the 3rd last-place finish of his Camping World Truck Series career in Saturday’s inaugural Pocono Mountains 125 at the Pocono Raceway when his unsponsored #95 Team Gill Racing Dodge fell out with overheating problems after completing 2 of the race’s 55 laps. Long qualified 21st at a speed of 156.497 mph, giving owner Danny Gill his best qualifying run since Geoffrey Bodine qualified 8th at Atlanta. Long fell out of the race after two laps, followed by Michigan last-place finisher J.C. Stout. Current 2010 LASTCAR Truck Series leader Mike Garvey and his #93 did not fall out until lap 14, leaving him 33rd. 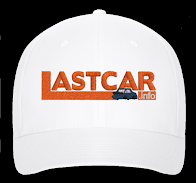 *Long had not finished last in the Truck Series since the 2003 New Hampshire 200 at the New Hampshire Motor Speedway, his lone start of the 2003 season. Long’s Rick Ware-owned #51 Dodge fell out with rear end problems after 4 of the race’s 200 laps. *This was the first time the #95 had ever finished last in the history of the Camping World Truck Series. *The last time a Truck Series last-place finisher fell out with overheating problems was the 2009 Ford 200 at Homestead, the first Truck Series last-place finish of current 2010 leader Mike Garvey.